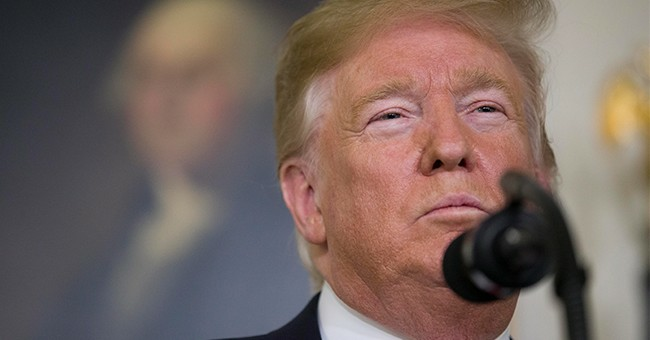 Special Counsel Robert Mueller's report vindicated President Donald Trump of colluding with Russia. He's been exonerated of obstruction of justice, yet we have the mainstream liberal news media who wants to continue to push the idea that we don't know the full story, that there's still some sort of smoking gun. The staff of The Times was recognized with the national reporting award for changing the nation’s understanding of Russian interference in the 2016 election, investigating whether there was collusion between the President Trump’s campaign and Russia and whether Mr. Trump had tried to obstruct the investigation. The Times shared the award with The Washington Post. When The Times approached the White House in July 2017 with knowledge of a secret meeting during the 2016 campaign between Russians and top advisers to Donald J. Trump, the administration put out a false statement, saying the meeting was set up to discuss Russian adoptions. But continued digging showed Moscow had offered compromising information on Hillary Clinton, and that the Trump campaign was eagerly interested in the information. The special counsel, Robert S. Mueller III, learned of the meeting’s true purpose from The Times, prompting him to investigate further. Read the original story that upended the White House’s contention that there had been no communication with foreign entities: Trump Team Met With Lawyer Linked to Kremlin During Campaign. Over the coming days, more details would emerge, including the text of a crucial email: Russian Dirt on Clinton? ‘I Love It,’ Donald Trump Jr. Said. Comey Memo Says Trump Asked Him to End Flynn Investigation. Trump Told Russians That Firing ‘Nut Job’ Comey Eased Pressure From Investigation. The White House tried to crack down on leaks, so Times reporters switched to burner phones and met with sources in their homes as the reporting continued. Other stories included Jared Kushner omitting a meeting with Russians on his security clearance forms, a look back at how the Russia inquiry began, and how Russian operators used Twitter and Facebook to spread anti-Clinton messages and spread hacked material. We know the article on Jared Kushner had some serious issues. The report talked about Donald Trump Jr., Jared Kushner and Paul Manafort meeting with a lawyer "connected to the Kremlin." In reality, they met with lawyer Natalia Veselnitskaya from Fusion GPS, the group behind the dossier, that we now know is fake. Both sets of stories exposed secret or undisclosed information and altered America’s political landscape. The Post’s revelations about Russia, including contacts between Russian figures and President Trump’s associates and advisers, helped set the stage for the special counsel’s ongoing investigation of the administration. The Moore stories were a factor in changing what had seemed like a certain victory for the Republican candidate. Both investigations were produced amid unusually harsh criticism, including from the president himself. The reporting about Moore and subsequent coverage of attempts to discredit The Post’s work won in the investigative journalism category. The Russia-related stories shared the Pulitzer for national reporting with the New York Times, which was recognized for its work on the same topic. Post reporters have now won or shared the national reporting Pulitzer four times in the past four years. The Post’s Russia stories contained several startling revelations: that Michael Flynn, Trump’s designated national security adviser, had discussed lifting U.S. sanctions on Russia with Russian Ambassador Sergey Kislyak during the presidential transition period, potentially in violation of the law; that acting attorney general Sally Yates had told the White House that Flynn had misled senior officials, including Vice President Pence, about his Russia contacts, making him vulnerable to Russian blackmail; that attorney general-designee Jeff Sessions failed to disclose two conversations with Kislyak when asked about contacts during his confirmation hearing; and that Trump revealed secret intelligence to Kislyak and Russian Foreign Minister Sergei Lavrov in an Oval Office meeting in May. The newspaper also published a lengthy account of President Barack Obama’s struggle to retaliate against Russian President Vladimir Putin’s interference during the 2016 campaign, and explored Trump’s unwillingness to confront the issue of Russian election interference. The news about Sessions’s undisclosed encounters prompted him to recuse himself in March from an investigation of Russia’s election conduct. Sessions then appointed his deputy, Rod J. Rosenstein, to oversee the investigation. The New York Times subsequently reported that notes taken by ousted FBI director James B. Comey recounted a conversation in which Trump urged Comey to drop an investigation of Flynn. That led Rosenstein to appoint Robert S. Mueller III as special counsel last year. One of WaPo's articles was about then Sen. Jeff Sessions meeting with Russian Ambassador Sergey Kislyak. Liberal media outlets claimed Sessions lied about the meeting with the Russians on behalf of the Trump campaign. That ended up being false. Sessions met with Kislyak because he sat on the Senate Armed Services Committee. Neither one of the newspaper's reporting was "heavily sourced," although it was "relentlessly reported," probably because they were trying to push their editorial agenda. And, of course, CNN and MSNBC and every other liberal talking head out there decided to run with this "solid reporting" job both news organizations conducted. Now that we know there was no collusion, now that we know there was no obstruction, does this mean we get a "redo" on this award? Does Pulitzer pull their award and name a new winner? Do these news organizations have to return the $15,000 they were wrongly awarded? And do these journalists have their "Pultizer Prize Winning" title pulled from their bio?